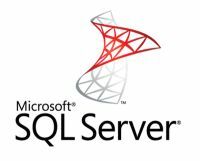 SQL Server 2008 R2 delivers several breakthrough capabilities that will empower your organization to scale database operations with confidence and improve IT and developer efficiency, as well as enable highly scalable and well-managed business intelligence on a self-service basis for your users. Powerful end-user analytics and reporting. Centralized management and deployment of instances and applications. Support for Windows Server 2008 R2, including Hyper-V with Live Migration. Data warehouse scalability from tens to hundreds of terabytes. Enhanced data compression with support for Unicode UCS-2.